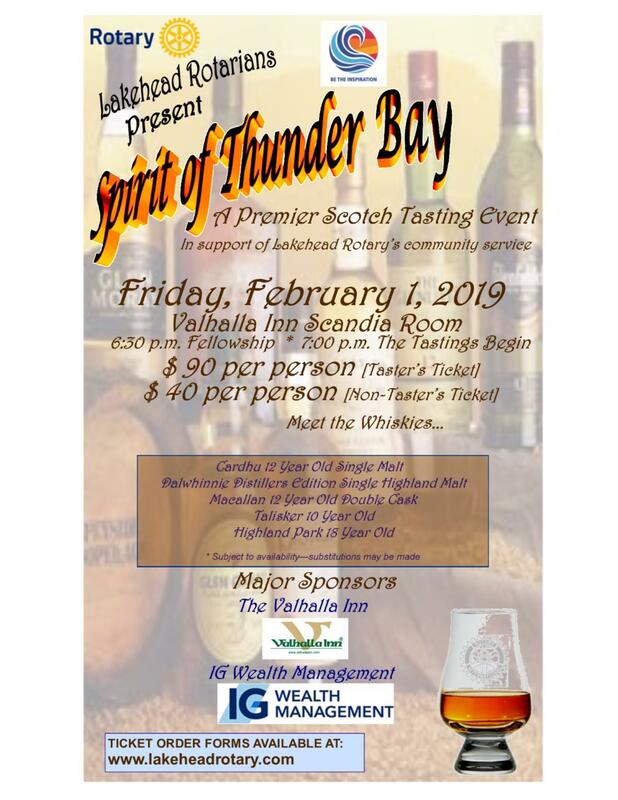 Lakehead Rotarians present the 7th annual SPIRIT of THUNDER BAY event at the Valhalla Inn on Friday, February 1, 2019. This is a premier single malt tasting event featuring 5 excellent whiskies for tasting plus succulent hors d'oeuvres between each tasting. This is a fund raising event of Lakehead Rotary with all proceeds benefitting local charitable organizations doing good work in our community. Tickets may be ordered using the ticket order form on this website.